The 2017 College Football season is starting in less than two weeks and that means it is prediction season. We will do something different than last year. In 2016, we made 5 predictions for each conference for a total of 55 predictions. The final total was 30.5 predictions correct for 55.5% hit rate. This is the fourth edition and we will continue predicting the Power 5 Conferences. Below is the schedule for the 25 predictions. 10. (Pac-12) Washington will win the Pac-12 – Last year we said Washington would not win the Pac-12. Well, we were way wrong and felt like the 2017 would be the breakout season for Washington. The Huskies arrived a year earlier than we expected, but we still like them in 2017. The offense has seven starters back led by Jake Browning (43 touchdowns against 9 interceptions) and running backs Myles Gaskin (1,371 yards and 10 touchdowns) and Lavon Coleman (852 yards and 7 TDs). The offense loses John Ross (leading receiver with 1,150 yards and 17 TDs), but there are a ton of weapons on offense to ease the burden. After putting up 41.8 points and 457 yards per game in 2016, the offense should be just as powerful. The defense has done very well the past two seasons. 2015 saw the unit allow 18.8 points and 352 yards per game with four starters back. In 2016, the defense did even better allowing 17.7 points and 317 yards per game. Six starters are back including four in the front six and four of the top five tacklers. They may not match last season’s numbers, but they will still be one of best in the Pac-12. The Huskies have a very favorable schedule to make a second straight Pac-12 Championship game. They have road games at Colorado, Oregon State, and Arizona State in the front half of their conference schedule. Their final five games include four at home with their one road game at Stanford. They also avoid USC out of the South, a team they could easily face for the Pac-12 title. The Huskies are primed for another big season. 9. (ACC) Lamar Jackson will not win the Heisman – Let’s start by saying this: Lamar Jackson is more than capable of winning a second straight Heisman. He is an electrifying athlete, but he lost a lot of pieces around him and the expectations are sky high. Louisville’s offense averaged 42.5 points and 533 yards per game in 2016, but loses its top three receivers and top running back. Jackson was easily the top rusher with 1,571 yards and 21 touchdowns. The loses along the offensive line (three starters) will hurt as well. Overall, the offense will be potent, but will be hard-pressed to equal their output in 2017. The other part of the equation is expectations. Archie Griffin is the only two time winner of the Heisman (1974-75) and the 9 returning Heisman winners since have largely seen a drop off in stats. 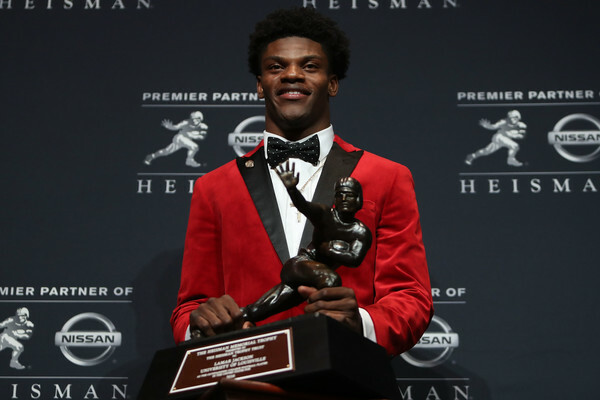 The link here shows the stats for each returning Heisman winner going back to 1945. That is probably the biggest hurdle to winning a second straight Heisman and the supporting cast does not look as strong this year (though still very good). 8. (ACC) North Carolina State will win at least 10 games – 2017 is the best season to date for Dave Doeren to breakthrough with North Carolina State. The Wolfpack have 17 starters back and their opponents have some serious concerns. On offense, the Wolfpack return nine starters led by Ryan Finley at quarterback (3,059 yards with 18 TDs and 8 interceptions). The biggest question is at running back after the loss of Matthew Dayes (1,155 yards and 10 TDs). The offensive line returns four starters, which should help cushion the loss of Dayes. The top four receivers return and this unit should eclipse the 2016 numbers of 27 points and 417 yards per game. The defense returns 8 starters from a group that allowed 22.8 points and 353 yards per game. Three of the top five and six of the top eight tacklers are back including the front six that allowed just 109 rushing yards per game. That group will need to be just as good and the defense overall should put up similar numbers to 2016. The schedule starts with South Carolina in Charlotte followed by back-to-back home games against Marshall and Furman. The next four games are all against ACC foes: Florida State (away), Syracuse (home), Louisville (home), and Pittsburgh (away). The season closes out against Notre Dame (away), Clemson (home), Boston College (away), Wake Forest (away), and North Carolina (home). It will not be easy to reach 10 wins, but with both Louisville and Clemson at home, they might sneak in an upset to give them confidence and put 10 wins in reach. 7. (ACC) Florida State will win the ACC – The Seminoles look like the standout team in 2017. The offense has six starters back from a unit that put up 35.1 points and 466 yards per game. They lost Dalvin Cook (1,765 yard and 19 TDs) as well as the top two receivers. However, they return quarterback Deondre Francois and three starters on the line. The running back spot will be key to develop, but the talent is immense on depth chart for that position. The defense took a step back in 2016 giving up 25 points and 349 yards per game. Compare that to 2015 when they allowed 17.5 points and 337 yards per game. Nine starters are back including eight of the top nine tacklers. This group should get closer to 2015 numbers and will be the key to how far the Seminoles go. Florida State opens with the massive game against Alabama in Atlanta. Their ACC schedule is very kind as they face Miami, NC State, and Louisville at home. They face Clemson away in their last conference game of the season. Florida State looks set for another big season, which we think will culminate in an ACC Championship at the very least. 6. (SEC) Missouri will have the SEC’s highest scoring offense – This prediction will be based on the points per game over the entire season. Missouri made a gigantic improvement from 2015 to 2016 on offense. The Tigers put up a horrid 13.6 points and 281 yards per game in 2015, which ended up being Gary Pinkel’s final season in Columbia. 2016 saw them go up to 31.4 points and 501 yards per game and that happened with a new head coach (Barry Odom) and only three returning starters. 2017 will see 10 starters return on offense and their lone loss was at tight end. Drew Lock is back to lead the offense after throwing for 3,399 yards with 23 touchdowns and 10 interceptions. Damarea Crockett (1,062 yards and 10 TDs) and Ish Witter (750 yards and 6 TDs) are also returning in the backfield with Lock. The top four receivers also return: J’Mon Moore (1,012 yards and 8 TDs), Dimetrios Mason (587 and 3 TDs), Johnathon Johnson (435 and 2 TDs), and Emanuel Hall (307 and 2 TDs). The offense looks wonderful on paper and they open with four straight home games versus Missouri State, South Carolina, Purdue, and Auburn. The offense may need to be even better because the defense was very porous last year (31.5 points and 480 yards per game). In addition, the Tigers averaged only 22.6 points per game in SEC play, a mark that will need to go up if the Tigers want to contend for a bowl game. Teams like Alabama (38.8 PPG in 2016), Texas A&M (34.8), Auburn (31.2), Arkansas (30.3), and even Kentucky (30) pose a threat to score more (especially the Tide with their main pieces returning). However, Missouri’s offense returns nearly intact and should fare even better in the second year under Odom. That concludes the fourth set of five predictions for the 2017 college football season. Check back next week for the final five predictions, which will include two predictions for the SEC and three for the Big 10. Week six has come and gone (along with nuisance of Hurricane Matthew we hope). Week seven has some big games including NC State at #3 Clemson, Kansas State at #19 Oklahoma, #20 West Virginia at Texas Tech, North Carolina at #16 Miami (FL), #12 Ole Miss at #22 Arkansas, and #2 Ohio State at #8 Wisconsin. We will take a look at some of the games not listed above for week seven. Note, these games are listed in order of when they will be played and all times listed are Eastern. 1. Mississippi State at BYU (10/14 at 10:15 PM) – The Bulldogs enter this game off a horrendous performance against Auburn at home. They were run off the field in the first half after giving up 35 points. They played better in the second half, but that is not a consolation after the first 30 minutes they played. BYU comes in at the opposite end of the spectrum. The went into East Lansing and won 31-14. They were close with the Spartans through three quarters, but really wore them down in the final frame scoring 21 points to Michigan State’s 7. 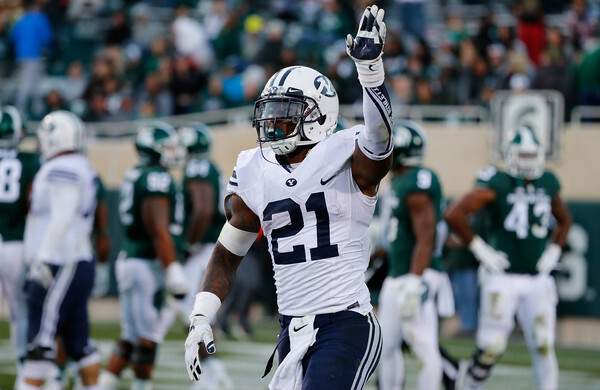 It was a familiar scene with Jamaal Williams toting the rock quite a bit in the final quarter. In the Bulldogs’ last two losses to LSU and Auburn, they allowed 177 yards rushing and 228 yards rushing, respectively. Williams has put up four games of at least 160 yards rushing this year and BYU is 3-1 in those games. Mississippi State will need to stop Williams if they want to have a chance of winning. Even then, though, they will have to deal with Taysom Hill. The Bulldogs will need their A+ game in this one, but will also need Nick Fitzgerald to play better. In their two wins, he has put up at least 110 yards (305 total) and 5 touchdowns against 1 interception. In their three losses, he has managed just 85 yards total on 32 carries and just 2 touchdowns against 1 interception. If the Bulldogs get Fitzgerald going, they can stay in striking distance. BYU sits and 3-3 while Mississippi State is 2-3 so far in 2016. 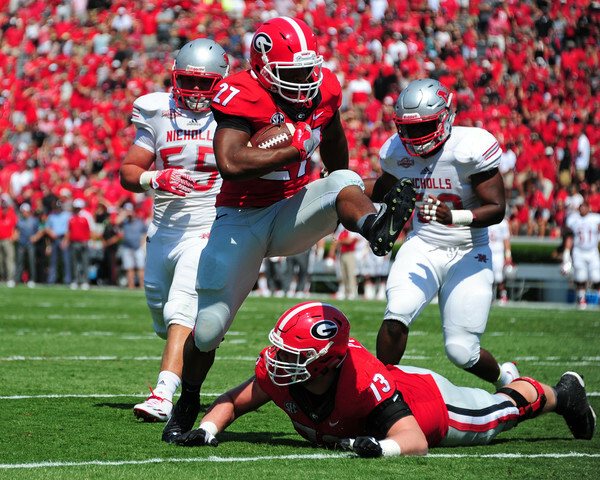 A win for either team will help their bowl chances, but more so for the Bulldogs. 2. Illinois at Rutgers (10/15 at 12 PM) – This game is way under the radar and has no impact on the rest of the season. So why is it on this list? Because both teams are trending in a bad direction under first year head coaches and this is the kind of game that give a team something to build on if they win. Plus, one of these teams can say they did not go winless in conference play at the end of the year. Illinois (1-4) is on a four game losing streak and last week’s game against Purdue was there for the taking. They had a chance to defeat Purdue, but Chase McLaughlin’s 41 yard kick at the end of the game hit the right upright and Purdue won 34-31 in overtime. Rutgers (2-4) is well known for their past two performances. They were crushed 58-0 on the road at Ohio State, but last week’s game put them on the map. They were drubbed 78-0 at home to Michigan, who basically ran the ball the final 20 minutes and still ended up with 481 yards on the ground and 9 rushing touchdowns. The duo of Chris Laviano and Zach Allen combined to go 2 for 18 for 5 yards passing for the Scarlet Knights in the passing game. Rutgers managed 34 yards rushing on 36 carries. One of these teams has to win this game and while it may not get either one to a bowl game, at least they can build off of this game. Hopefully. 3. Georgia Southern at Georgia Tech (10/15 at 12:30 PM) – This is the battle of which Georgia Triple Option offense is better. Both teams have about 67% of their offense from the ground game while both enter on losing streaks with Georgia Southern at two and Georgia Tech at three. Georgia Southern will have the benefit of an extra three days of preparation due to playing Arkansas State on Wednesday. The Eagles will spread the ball around to their backs. Five players have at least 200 yards and another one has over 100 yards: Matt Breida (279 yards and 1 touchdown), Wesley Fields (279 and 3 TDs), Favian Upshaw (254 and 2 TDs), Kevin Ellison (252 yards and 3 TDs), L.A. Ramsby (208 and 3 TDs), and Demarcus Godfrey (124 yards). Georgia Tech has lost three in a row, but they have faced some tough opponents in Clemson, Miami (FL), and Pittsburgh with only Pittsburgh on the road. The ball will usually go into the hands of Dedrick Mills (82 carries for 357 yards and 7 TDs) or quarterback Justin Thomas (64 carries for 206 yards and 1 TD). Another one to watch out for is Clinton Lynch. He only has 19 carries, but has gone for 254 yards and a touchdown on the ground. He also has 6 catches for 134 yards and another touchdown. If he breaks one, it might be the difference. This game will be old school triple option offense with a lot of running and sporadic amounts passing. Georgia Southern sits at 3-2 and while a loss here does not crush their bowl hopes, a win would give them a confidence boost going back into Sun Belt play. A win here would be bigger for Georgia Tech because their run in consists of Duke, North Carolina, Virginia Tech, Virginia, and Georgia. There is no margin for error with a loss here. 4. New Mexico at Air Force (10/15 at 3:30 PM) – A Mountain West battle ensues as the Lobos will travel to face Air Force. New Mexico comes off a big loss to Boise State at home where the offense racked up a ton of yards on the ground, but not much on the scoreboard. They got crushed 49-21 with two late scores flattering the scoreline. Air Force lost their first game of the season last week to Wyoming on the road 35-26. The Falcons were forced to rely on the passing attack, which ended badly as Nate Romine went 6 of 19 for 188 yards with 2 touchdowns and 3 interceptions. They may be facing a poor pass defense in New Mexico, but Air Force football is a triple option first with some passing sprinkled in. This game should feature a lot of running. Air Force only managed 149 yards on 39 carries against Wyoming, but they like to pass the ball closer to 15 times a game instead of 20. New Mexico averages 354 rushing yards per game from their version of the triple option between Teriyon Gipson (399 yards and 5 TDs on 31 carries in only 3 games), Tyrone Owens (390 yards and 2 TDs on 63 carries), Lamar Jordan (287 yards and 1 TD on 50 carries in basically 3 games), and Richard McQuarley (242 yards and 7 TDs on 47 carries). Gipson missed the game versus Boise State due to hamstring. He is expected to be back for this game and it will be worth watching to see how effective he is against Air Force. Both teams have a loss in conference play, but Air Force has not played Boise State yet this season. New Mexico could use a win going into the back half of their schedule while Air Force could use this game to get the run game back on track (last two games have seen the offense finish with more passing yards than rushing yards). 5. Northwestern at Michigan St (10/15 at 3:30 PM) – This game will feature both teams at 2-3, which was not expected before the season. Northwestern got a big win before their bye week with a 38-31 win on the road over Iowa. The offense easily looked the best they have all year against Iowa with Justin Jackson getting 171 yards on 26 carries and Austin Carr catching 3 touchdown passes (6 catches for 73 yards total) from Clayton Thorson (164 yards and 3 touchdowns with no interceptions). Michigan State has not looked anything like the Spartans of the past 5 years during their three game losing streak. Against Wisconsin and BYU they were physically dominated. BYU ran wild on the Spartans in the fourth quarter while Indiana put up 437 yards of offense on them. The loser of this game drops to 2-4, which will be very difficult to navigate the final half of the year. Northwestern will face Indiana, Ohio State, Wisconsin, Purdue, Minnesota, and Illinois. Michigan State plays Maryland, Michigan, Illinois, Rutgers, Ohio State, and Penn State. This is a big game for both teams. 6. Missouri at Florida (10/15 at 4 PM) – Missouri is 2-3 on the season alternating between losses and wins to start the campaign. They most recently lost to LSU 42-7 on the road and they were dominated in that game. Florida comes in off a win against Vanderbilt, but it was an ugly win. They also had to deal with the postponement of their contest against LSU due to Hurricane Matthew. Florida’s defense has been very good against every team except Tennessee. They have given up a total of 20 points in their four wins and only 163.5 total yards per game in those four as well. Meanwhile, Missouri’s offense put up a lot yards prior to the LSU game and that will be an interesting matchup for them against the Florida defense. Drew Lock has thrown for 1,675 yards with 14 touchdowns and 4 interceptions. He will find this group to be a big step up compared to some of his other opponents. This game could help shape the SEC East. Florida has just one loss and can still win the division with some help. Missouri already has two losses in conference play and is now looking to make a bowl game. A win here would help and really put a dent in Florida’s SEC East hopes. Check back next week for the week eight edition of Under The Radar Games. In addition, you can find the previous columns below. Week five will encompass both the end of September and the start of October. September will end with a bang as #7 Stanford travels to play #10 Washington Friday evening while October will be ushered in with National Title and conference implications as well. #11 Tennessee is at #25 Georgia, #8 Wisconsin is at #4 Michigan, Oklahoma is at #21 TCU, and of course the biggest game: #3 Louisville at #5 Clemson. Those games are definitely worth the coverage they garner, but we like to focus on the smaller games that may have an impact on the season for the teams playing. Let’s take a look at some of the under the radar games for week five. Note, these games are listed in order of when they will be played. 1. Virginia at Duke (10/1 at 12:30 PM EST) – This game looks a lot better than it did a week ago at this time. Virginia got their first win last week against Central Michigan 49-35 at home with Kurt Benkert throwing for 421 yards and 5 touchdowns. Duke had a massive win on the road at Notre Dame 38-35 in which the managed to get nearly 500 total yards of offense. While Duke is the favorite to win, the confidence gained by the Cavaliers could go a long way especially against a Duke passing defense that gave up 381 yards to DeShone Kizer (albeit against much better competition). If both offenses are in form, this could be a high scoring affair. Last week’s win against Notre Dame will help Duke’s chances of making a bowl game, but if they want to keep that hope they need to win against Virginia this week. 2. Eastern Michigan at Bowling Green (10/1 at 3 PM EST) – It is always nice to have some MACtion on this list, but this one is probably not the one most people would expect to see. Eastern Michigan has been a putrid program in recent years with four straight years of double digit losses. That will not happen this year as the Eagles already have 3 wins (most since 2011 when they went 6-6). Bowling Green has been a constant MAC Title contender with two MAC Championships in the last three years. However, they have been terrible this year with a 1-3 record and are the only team in the FBS to have allowed 70 points or more TWICE this year and no other team has even allowed 60 or more points twice this season. That gives some recent historical perspective as to why this contest is on the list. This game is a chance for Eastern Michigan to beat one of the MAC big boys even if they are down. Bowling Green could use this game to restart their season and the conference slate is the time to get back on track. 3. Navy at Air Force (10/1 at 3:30 PM EST) – This game usually is the deciding factor in which team ends up winning the Commander-in-Chief’s trophy. The last time Army won the CIC Trophy was in 1996, but there is a chance that could change this year with a much improved Black Knights squad. Both teams come into this game 3-0 and both have been tested. Navy needed touchdown in the last four minutes against both Connecticut and Tulane to get the win while Utah State hung around against Air Force last week. Even if you are not a fan of the triple option, it is always a great spectacle to see the Service Academies square off on the football field. 4. Western Michigan at Central Michigan (10/1 at 7 PM EST) – More MACtion! Western Michigan is a perfect 4-0 coming into this game with victories over Northwestern and Illinois on the road and against Georgia Southern at home last week 49-35. Central Michigan has opened 3-1 and lost for the first time last week to Virginia on the road 49-35. Western Michigan’s Jamauri Bogan has run for at least 100 yards in all four games while Central Michigan has been led by Cooper Rush’s arm (1,359 yards, 62.6% completions with 13 touchdowns and 4 interceptions). The Chippewas will be boosted by being at home, but Western Michigan will not be bothered given their two road wins over Big Ten opponents this year. The bottom line to this game is the winner will be in the driver’s seat to the MAC West Title and an appearance in the MAC Championship Game. This is especially true since 0-4 Northern Illinois looks nothing like the team that was expected to be in the hunt to be the MAC West Champion. 5. Missouri at LSU (10/1 at 7:30 PM EST) – This may not be a truly under the radar game after Les Miles’ firing on Sunday. All eyes will be on Ed Orgeron to see if he can truly deliver a different looking offense (read: much improved). Results may not happen in a week, but there should be some things that are different under Orgeron. This will also be Missouri’s first trip to Death Valley as well as the first SEC meeting between the two schools (they played in 1978 with Missouri winning 20-15). 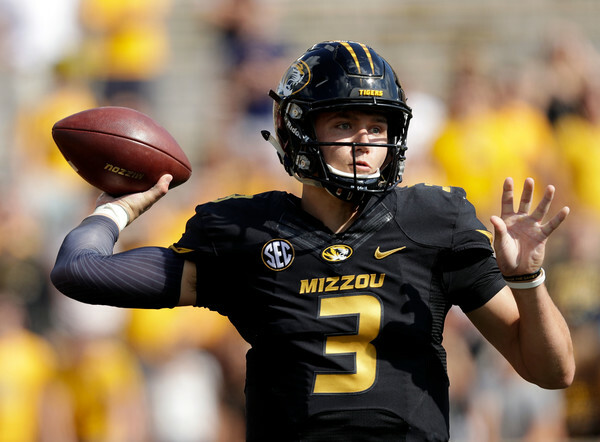 Missouri is led by quarterback Drew Lock and the offense has been impressive this year. Their averages per game are 44.5 points, 569.5 total yards, 391 yards passing, and 178 yards rushing. LSU allows 16.8 points, 341.2 total yards, 225.2 passing yards, and 116 rushing yards per game. This is the type of offense versus defense showdown we want to see. Check back next week for the week six edition of Under The Radar Games. In addition, you can find the previous columns below. The 2016 College Football season began last night with California defeating Hawaii 51-31 in Sydney, Australia. 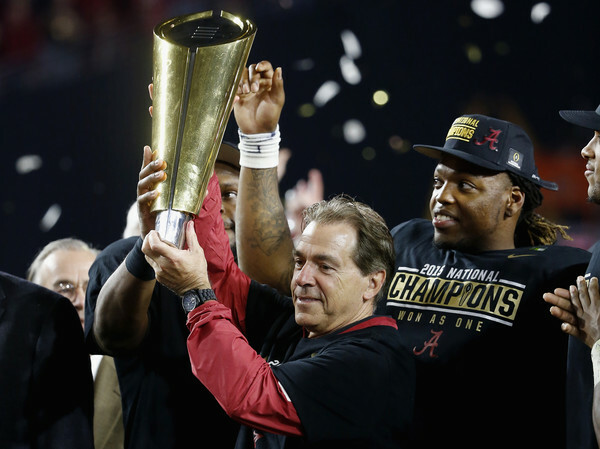 Below are five predictions for Southeastern Conference for the 2016 season. Some predictions will be right, some predictions will be wrong, and some will be spectacularly awful (or correct) by the end of the season. There are no changes to the teams for the Southeastern Conference as the fourteen teams remain the same and are split into East and West Divisions. The seven teams in the East Division are Florida, Georgia, Kentucky, Missouri, South Carolina, Tennessee, and Vanderbilt. The seven teams in the West Division are Alabama, Arkansas, Auburn, LSU, Mississippi, Mississippi State, and Texas A&M. 1. Every SEC West team will make a bowl game – The SEC West has done this two years in a row already with every team going to a bowl in both 2014 and 2015. In both of those years, every team finished with a winning record as well. The SEC West sets up well again for it to be three straight years with every team making a bowl game. No time needs to be spent on Alabama, LSU, or Ole Miss as they should easily reach six wins. Arkansas – They play Louisiana Tech, Texas State, and Alcorn State in the state of Arkansas (the Alcorn State game is played in Little Rock), and TCU on the road for their non-conference schedule. From the East, they draw Florida at home and Missouri on the road. They may need two or three wins against SEC West opponents to reach six wins. Auburn – They face Clemson, Arkansas State, Louisiana Monroe, and Alabama A&M at home in their non-conference schedule. They also draw Vanderbilt out of the East, which means they only need two wins against fellow SEC West opponents if they go 4-1 against the aforementioned opponents. Mississippi State – Their non-conference schedule consists of South Alabama and Samford at home while facing Massachusetts and BYU on the road. A 3-1 record looks like the worst case scenario for the Bulldogs and they draw South Carolina (home) and Kentucky (road) from the East. Texas A&M – They have to face UCLA, Prairie View, New Mexico State, and UT-San Antonio out of conference all at home. They will play South Carolina (away) and Tennessee from the East. Like Auburn, if they go 4-2 in those games, they will only need two wins against the SEC West. It looks likely the SEC West will make it three straight seasons with every team making a bowl if each of the teams above only require two wins to reach six wins. Every team is capable of grabbing a couple of wins against fellow SEC West teams. 2. Kentucky will not reach that elusive bowl game – Kentucky has not been to a bowl game since 2010 when they lost to Pittsburgh 27-10 in the Compass Bowl. This will be Mark Stoops’ fourth year and the seat will be a lot hotter if the season unravels as it has the past two years. In 2014, Kentucky opened with a 5-1 record that included a triple overtime loss to Florida on the road. The final six games featured five losses by double digits and a close loss on the road to rival Louisville (44-40). In 2015, Kentucky had another strong start going 4-1 with another close loss to Florida. They went 1-6 in their final seven games with a victory over Charlotte and two close losses to Auburn (30-27) and Vanderbilt (21-17). There are nine starters back on the offensive unit after putting up 24.7 points and 372 yards per game last year (both down from 2014). One of those two starters being replaced is at quarterback where Drew Barker is expected to take over. He only threw for 364 yards with a touchdown and two picks in just two starts last season. He has the top four running backs as well as the top ten receivers from 2015 returning. The offense should be more efficient and there are plenty of reasons for Barker to succeed. The defense returns just five starters from their unit that allowed 27.4 points and 394 yards per game in 2015. That was an improvement of nearly four points and 13 yards per game over 2014’s defense. However, this year the losses are heavy as seven of the top eight tacklers have left. This is the area of concern for the Wildcats and may prevent them from getting to six wins. 2016 starts with Southern Miss at home and then Florida on the road before back-to-back home games against New Mexico State and South Carolina. A 3-1 record is mandatory for Kentucky to have a chance at making a bowl. Alabama (road) and Vanderbilt (home) are the next two games before a bye. The final half of the season only gets harder. They finish with Mississippi State (home), Missouri (away), Georgia (home), Tennessee (away), Austin Peay (home), and Louisville (away). The Wildcats are going to need a few upsets (and avoid that second half of the season swoon) if they are to end the bowl drought. 3. Vanderbilt will make a bowl game – 2016 will be Derek Mason’s third year and it is clear that the team is heading in the right direction. They went 3-9 in 2014 and 4-8 in 2015 with a huge improvement on defense. After allowing 33.3 points per game in 2014, they only allowed 21 points per game last year. The offense needs improvement after putting up just 15.2 points and 327 yards per game. That side of the ball will have running back Ralph Webb again after rushing for 1,152 yards and 5 touchdowns. The quarterback play will be better regardless of who wins after throwing for just 172 yards per game in 2015. There are eight starters back on offense and offensive coordinator Andy Ludwig is in his second year. The defense will have seven starters back with Mason running the unit again. Four of the top five tacklers are back while nearly all of the secondary returns. It would not be surprising to see the Commodores have another very good season on defense and it will need to be if they are to make a bowl appearance. The schedule is challenging for Vanderbilt, but not overwhelming to start the season. They have South Carolina and Middle Tennessee at home before back-to-back road games at Georgia Tech and Western Kentucky. Up next are Florida (home), Kentucky (road), Georgia (road), and Tennessee State (home) before their final four games in November. They take on Auburn and Missouri on the road while facing Ole Miss and Tennessee at home. Vandy can start no worse than 3-1 if they are to have a shot at making a bowl game, but that start is very doable. 4. The Arkansas-Mississippi State game will determine the last place finisher in the SEC West – These two teams appear to be the weakest on paper, but that is why they play the games. Both teams lost their quarterback from last year (Dak Prescott for MSU and Brandon Allen for Arkansas). Both teams also lost their leading rusher (Prescott for MSU and Alex Collins for Arkansas). However, both teams return their top receiver from a year ago (Fred Ross for MSU and Drew Morgan for Arkansas). The key for this prediction is how well the teams have come together and there will be plenty of time for that as Arkansas travels to Starkville on November 19 (the tenth game of the year for both teams). The Bulldogs having won four straight in the series, but the last three have been decided by a touchdown or less. While both teams have rivalry games the next week (MSU in the Egg Bowl vs Ole Miss and Arkansas versus Missouri), no game in the SEC West can be classified as a trap game this year. 5. Missouri will win the SEC East – This seems preposterous with the amount of hype around Tennessee, Georgia, and Florida, but let’s take a look outside the box. Missouri lost long time head coach Gary Pinkel as he retired after 15 years at the helm. Taking over is defensive coordinator Barry Odom who was with the team in 2015 and also played as a linebacker the school from 1995 to 1999. The offense returns just five starters, but last year’s unit was abysmal averaging just 13.6 points (only Kent State’s 13.1 points per game were worse in the FBS) and 281 yards of offense per game. Former Oklahoma Sooner quarterback Josh Heupel is the offensive coordinator and a fellow Sooner is in the backfield in Alex Ross to give the rushing attack a spark. Drew Lock is back at quarterback after throwing for 1,322 yards with 4 touchdowns and 8 interceptions (49%) while starting the last eight games. The top receivers are back as well and the only place this offense can go is up. The real crux of this team is the defense, which a large part of the reason the team did not end up worse than 5-7 last year. They gave up just 16.2 points and 302 yards per game in 2015 and now have eight starters back. Six of the top seven tacklers return as well as the entire defensive line and two of the three linebackers from last year. The defense has given up 133 and 134 yards rushing per game the last two years and they should duplicate that again in 2016. Missouri does not have the friendliest SEC schedule. They start with Georgia at home on September 17 before a road game at LSU on October 1. Up next are the Gators on the road again October 15, but at least they have a bye week to prepare for that contest. Middle Tennessee (home), Kentucky (home), South Carolina (road), and Vanderbilt (home) all lead up to their final pair of games: on the road at Tennessee and home to Arkansas. Since joining the SEC, Missouri is 2-2 against Florida, 1-3 against Georgia, and 3-1 against Tennessee. Perhaps the biggest test is not their penultimate game (Tenn), but the third game of the season against Georgia. If the offense improves by a touchdown or ten points a game along with the defense that should be very tough and keep them in every game, then these Tigers could surprise some teams this year. With the SEC predictions above, predictions have been made for every conference. Links to all the predictions for each conference are provided below.